Groups will offer a unique opportunity to heal through combining traditional psychodynamic, cognitive-behavioral group therapy techniques with a novel, experiential approach to self-awareness, learning, and change (The Feldenkrais Method, Awareness Through Movement); each hour-long talk-therapy group experience will be accompanied by approximately one half hour of Feldenkrais body movement. Participants are required to come comfortably attired and to bring a floor mat for personal use. By upgrading the function of brain and nervous system, the Feldenkrais technique brings individuals in “emotional exile” back to themselves, and to their loved ones. The development of the self is grounded in kinesthetic experience; our movement, interwoven into the fabric of our self image from the beginning of our lives, plays an extensive role in how the nervous system coordinates a coherent sense of self through the life span. The Feldenkrais work expands the discovery of unrecognized feelings, of different options for taking action, and of alternative thinking that leads to more creative and effective problem-solving. Through this technique, “black-and-white” thinkers begin to recognize shades of gray. Anxiety held in contracted muscles melts away, as do harmful compulsive and habitual behaviors and attitudes, to be replaced by “can do” feelings of empowerment. 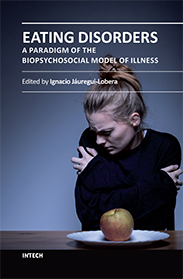 Hard-to-treat patients who have suffered from eating disorders, body image disturbances and mood disturbances for decades report relief from compulsivity in behaviors and thought, diminished depression, and a new-found capacity for self-determination and self-control. Through gentle movements that reorganize the skeleton while accessing brain connections and the nervous system, patients who had no previous self-awareness or self-control prior to or during a binge/purge episode report a new-found sense of awareness, leading to self control, and self-determination; along with that, comes access to new solutions to old problems. The Therapeutic Effects of the Feldenkrais Method "Awareness Through Movement" in Patients with Eating Disorders by Laumer U, Bauer M, Fichter M, Milz H University at Regensburg. Eating disorder group therapy is available to individuals seeking the integrative, experiential mind/body work of Anat Baniel Method© / Feldenkrais Method©. This form of somatic education, when used as adjunct treatment in combination with more traditional approaches, by providing integrative movement with attention, enables autonomous shifting out of old habits and into useful new ones. It facilitates learning “from the inside out;” enhancing sensory-awareness and re-integrating neurological function that goes far to re-create a core sense of self. 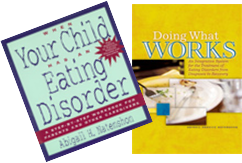 (Read Abbie’s article, The Feldenkrais Method © and Anat Baniel Method © in the Treatment of Eating Disorders, published in the Feldenkrais Educational Foundation of North America SenseAbility Newsletter.